With Eco-Maxx™ IntelliTank there’s no more guessing, which minimizes stop fees. 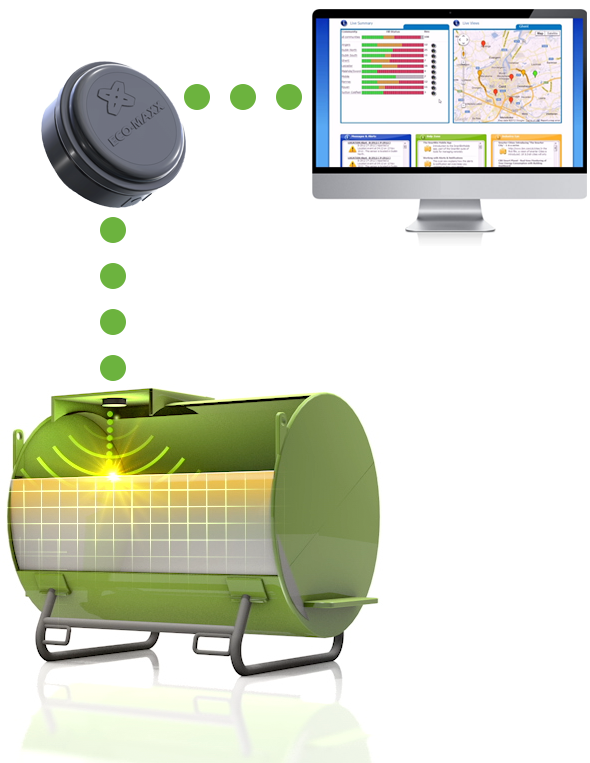 The Eco-Maxx IntelliTank is an integrated monitoring system that automatically notifies the customer and the used oil collector when tanks are nearing capacity. IntelliTank communicates tank fill levels using an assortment of communication protocols, including cellular, WIFI and Ethernet. Fill data is transmitted to the Eco-Maxx™ IntelliTank web portal for scheduling and route optimization – So your tanks are only serviced when needed. Nothing more. Nothing less. Before you pay another stop-fee, call Eco-Maxx™ to learn more about putting intelligence in your tanks.